Potatoes need to be rustic right, so is this dish. But it involves a fair deal of labour and elbow grease. To start with it needs planning and a good 2 hours in hand, especially if you want your mash to be a conversation starter. 10 potatoes, cut into half and baked at 180 degree centigrade in a water bath, for about 30 minutes. 1. Scoop out of the flesh from the freshly baked potatoes and mash it whilst still hot. This helps to ensure you get a smooth mash. 2. 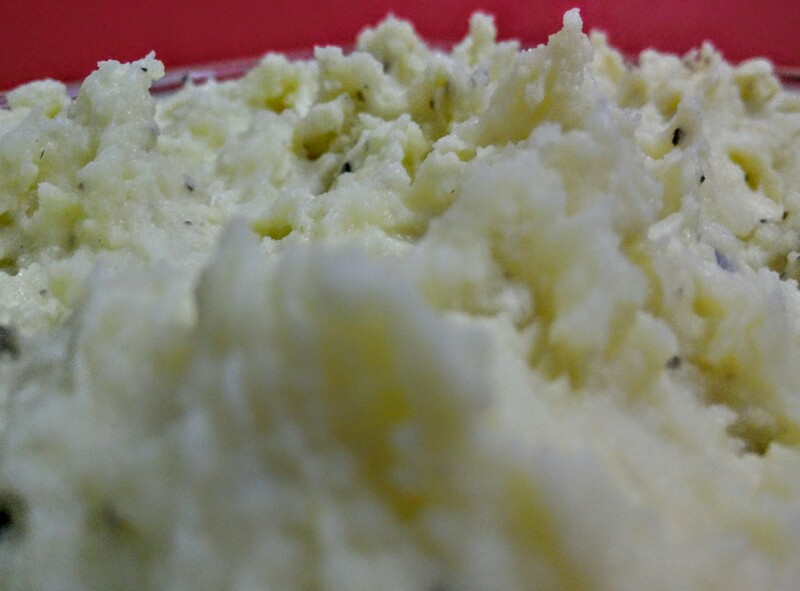 Add the butter, cream and cream cheese one after the other, in that order and mix the mash well at every addition. 3. The mash should be almost gooey at this stage. If not add milk to get the right consistency. 5. Bake in an oven at 180 degree centigrade for about 10 minutes and then grill it till the top is golden and crispy. You could add a layer of butter on top if you want a golden glaze. 6. Serve your mash with a dollop of butter with grills and a salad.